Finding out legal ways to keep chickens: You have to find out your local laws and regulations in your area whether you can keep chicken or not. Be sure of your new chicken house: When you will breed chickens, you will need more chicken house as you won’t get enough room to keep all chickens in one coop or you would have a few roosters than hens that are aggressive towards each other. A decision on taking a chance on more roosters: You will get 50% male chicks through breeding chickens. 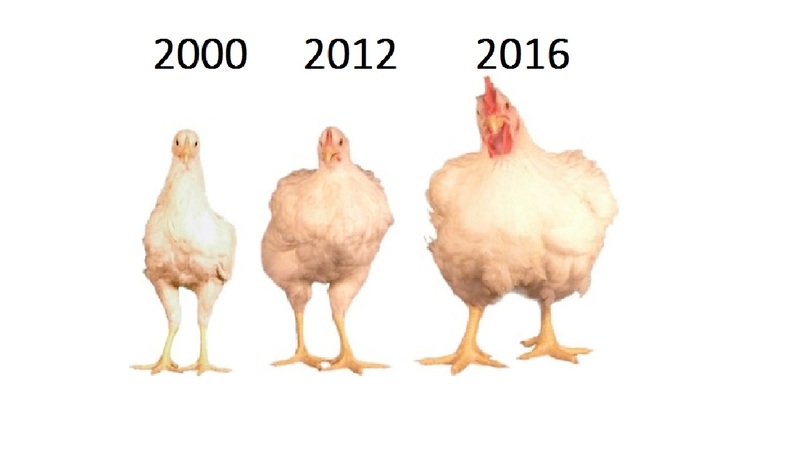 Male chickens will not contribute to your business like female chicken. Be conscious that breeding chickens always have more roosters. Obtaining a rooster: In prime breeding condition, you will require a rooster for fertilizing your hen’s eggs. You have to find a rooster from a good breeding stock. Decision about incubating the eggs yourself, or the hen to raise her chicks: You have to take a decision whether you would use an incubator for breeding or the hen to raise her chicks. Collecting eggs regularly: You have to collect the best eggs with a soft basket regularly for incubating. Keeping the nest clean: You have to keep the coop and nest boxes neat and clean at the time of breeding. Choosing the eggs for incubating: You have to choose the right eggs (not larger or smaller) for incubating. Marking your eggs: If you use diversification of breeding, you can mark the eggs with dates. Storing the eggs: You can store eggs with an ideal temperature and high humidity for at least 24 hours before starting incubation. Turning the eggs daily: You have to turn the eggs once a day for the membrane from sticking to one side. Finding out broody hen: You have to find out broody hen for your eggs to incubate for 21 days. Sneaking the eggs under the hen: In this case, you have to sneak the eggs under the hen so that all the eggs can be covered when she roosts. Separation of brooding hen and her eggs from other chicks: Therefore, you have to separate the brooding hen and her eggs from the other flock for preventing them from getting dirty or damaged. Keeping the mother well fed: Indeed, You have to ensure the mother hen has plenty of fresh water and chick starter food so that the chicks get the correct food right away. Allowing the hen hatch the eggs: Eggs start hatching about the 21st day. So, you have to allow the hen hatch the egg and remove any unhatched eggs after about two days. Letting the mother raise the chicks. You have to let the mother hen raise the chicks in a brooder. Keeping them separation: For the first six weeks, you have to keep the chicks and the mother separate from your other flock for getting their bearings without being picked on by other chickens. Providing plenty of clean water and fresh food: You have to provide a plenty of food and fresh water for the growth of the chicks. Meeting the chicks with the flock: Your chicks will be prepared for meeting with your flock after about 6 weeks and mother hen will help in this case. Obtaining an incubator: You have to choose a good incubator for hatching. You should remember that only about 50-70% of the eggs that you incubate may be hatched, and the rest eggs would turn into roosters. Setting your incubator up in a temperature-controlled room: You have to set up your incubator in a temperature controlled room away from a heater, or next to a window or door. Marking the eggs if you haven’t already: If you do not mark the eggs while collecting, mark them before keeping them in the incubator. Preheating your incubator: You have to preheat your incubator to maintain a constant temperature of 100 °F (38 °C) to 102 °F (39 °C) and humidity for the first 18 days around 40%. Placing eggs in the incubator: You have to place the eggs in the incubator properly for hatching. Turning the eggs: You have to turn the eggs around 5 times per day and not turn on the last 3 days before hatching. Candling your eggs: You have to candle your eggs for checking embryo in the dark room with a flashlight. Let the eggs to hatch: You have to let the eggs to hatch while you notice pepping. Increase the amount of oxygen finthe incubator by opening vents. Moving the chicks to a brooder: After hatching process, you can move the chicks to a brooder with a 40-watt bulb where they will be raised. Keeping a constant supply of fresh water and feed: You have to provide an ample supply of food and water for the mature of the chicks. Introducing the chicks to the flock: You have to be remembered that your chicks will be introduced to your flock after 6 weeks. So, you have to ensure their introduction. In summing up, I want to say that the new entrepreneur should follow these tips to breed chicks successfully.